1). 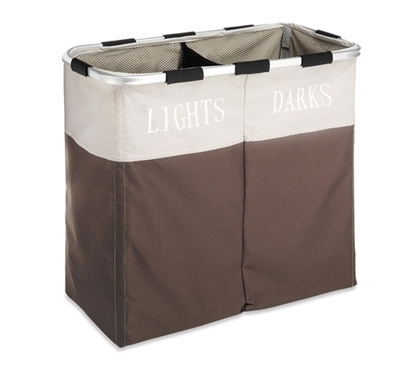 Have a designated place for your dirty clothes. Between your busy and hectic schedule, it’s understandable that sometimes you need to toss some clothes around the room so that you can get to your desired destination on time. But always remember that any small mess building up over time can eventually become a big mess later. Take the extra 5 seconds to toss your dirty clothes in a hamper, and you’ll be surprised at how much cleaner your dorm room looks without things all over the floor. 2). Shelves will always be useful. Bookshelves don’t always have to be used for books and notebooks. If you’re someone who doesn’t think they’re necessary, now is the time to test that theory out. 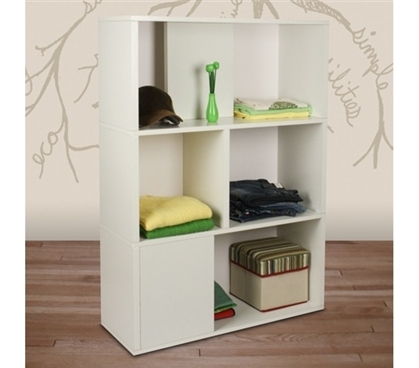 Bookshelves can be used for school supplies, great storage, and even some extra added college décor too. Using bookshelves will help you organize your things and stay neat while giving you a space to keep your small personal essentials. 3). Keep it smelling fresh. One of the first impressions your friends or visitors will get as they enter your dorm room is the scent it gives off—so let it be a refreshing one. There are tons of different dorm room scents and sprays to choose from, and a few simple sprays here and there will allow both you and your visitors to be satisfied. 4). Invest in hidden storage. Cleaning your dorm room means nothing if you’re just going to stuff everything in one big pile and call it a job well done. The key is to have places you can store your things in an organized way—better yet, that are not visible to friends or guests. College trunks or underbed storage are great ways to store away your extra dorm items or seasonal clothes while still having them available whenever you need them. 5). Take the extra step. This doesn’t mean you have to spend hours being a nanny and slaving away at your dorm room. But a little extra time and attention will go a long way. Instead of letting things pile up and having to do one big cleaning here and there, spend a little extra time each day making sure you do the little things—putting your clothes away, making your bed in the morning, cleaning off desk space, etc.—and you’ll be amazed at how much more organized your dorm room is. Don’t just do it for friends or guests, do it for yourself so you can feel great about your college dorm room!